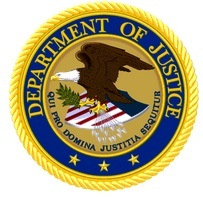 The Department of Justice (DOJ) has announced a settlement in the amount of $125 million to resolve allegations against four contractors under the False Claims Act. Bechtel National Inc., Bechtel Corp., URS Corp. (predecessor in interest to AECOM Global II LLC) and URS Energy and Construction Inc. (now known as AECOM Energy and Construction Inc.) were charged with making false statements and claims to the Department of Energy (DOE). Specifically, the contractors were cited for supplying deficient nuclear quality materials, services, and testing at the Waste Treatment Plant (WTP) at DOE’s Hanford Site near Richland, Washington. The settlement also resolves allegations that Bechtel National Inc. and Bechtel Corp. improperly used federal contract funds to pay for a comprehensive, multi-year lobbying campaign of Congress and other federal officials for continued funding at the WTP. Between 2002 and 2016, DOE paid billions of dollars to the cited contractors to design and build the WTP, which is to be used to treat dangerous radioactive wastes that are currently stored at DOE’s Hanford Site. The contract required materials, testing and services to meet certain nuclear quality standards. The DOJ alleged that the defendants violated the False Claims Act by charging the government the cost of complying with these standards when they failed to do so. 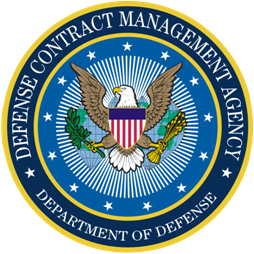 In particular, it was alleged that the defendants improperly billed the government for materials and services from vendors that did not meet quality control requirements, for piping and waste vessels that did not meet quality standards and for testing from vendors who did not have compliant quality programs. In addition, Bechtel National Inc. and Bechtel Corp. were charged with improperly claiming and receiving government funding for lobbying activities in violation of the Byrd Amendment, and applicable contractual and regulatory requirements, all of which prohibit the use of federal funds for lobbying activities. The allegations resolved by the settlement were initially brought in a lawsuit filed under the qui tam, or whistleblower, provisions of the False Claims Act by three individuals — Gary Brunson, Donna Busche, and Walter Tamosaitis — who worked on the WTP project. The False Claims Act permits private parties to sue on behalf of the United States when they believe that a party has submitted false claims for government funds, and to receive a share of any recovery. The Act also permits the government to intervene in such a lawsuit, as it did in part in this case. The whistleblowers’ reward has not yet been determined. This matter was handled by the Civil Division’s Commercial Litigation Branch, the U.S. Attorney’s Office for the Eastern District of Washington, the DOE Office of the Inspector General and the FBI. The claims asserted against defendants are allegations only, and there has been no determination of liability. The case is United States ex rel. Brunson, Busche, and Tamosaitis v. Bechtel National, Inc., Bechtel Corp., URS Corp., and URS Energy & Construction, Inc., Case No. 2:13-cv-05013-EFS (E.D. Wash.).